A privately owned, luxury self-catering apartment, with contemporary fittings for a perfect holiday! The Apartment, right in the heart of this historic and ancient village. See Here for our location. 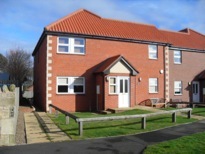 This is a new ground floor, two bedroom apartment that sleeps four to six people. 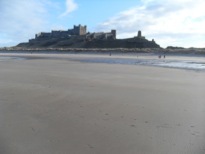 Bamburgh’s beautiful sandy beaches and impressive castle, make Bamburgh one of Northumberland’s most impressive locations. The Castle dominates the pretty village and is open to the public. The village is extremely picturesque with neat stone cottages facing the village green. There are excellent pubs, hotels with restaurants and a few shops. This is the premier place to discover Northumberland. If you would like to enquire about a reservation either call me on 0191 2640157 or use the 'contact me' at the bottom of the page.